The fruits are then subjected to peeling, cutting and transfer to pulping section by using slat or bucket elevator. 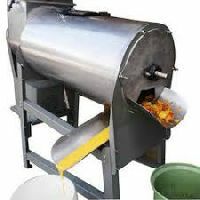 The peeled and cut fruits are passed through coarse and fine pulper or twin jet extractor to give good quality pulp by separation of juices and seeds. The fine pulp is collected in tanks and taken to the Processing Section. We are offering Fruit Pulping Plant. 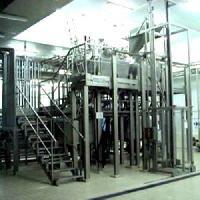 Fruit pulping plants is used for processing fruits like pappaya, tomato etc.